BOULDER — Spire Global Inc., a San Francisco-based satellite data company, is expanding its Boulder office to make it a key location in its operations. Spire’s 25,000 square-foot location in Boulder will be the company’s largest yet. It also has offices in San Francisco, Glasgow, Luxembourg and Singapore. The company is hosting a grand opening event on Wednesday. Spire has opened a key facility in Boulder. Courtesy Spire. 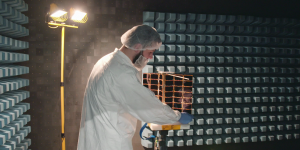 Spire operates one of the top five largest satellite constellations in the world. The company has partnerships with NASA and other key players in the maritime and aviation sectors. Boulder will serve as a key hub for developing its enterprise products and to support its expansive partnerships. Spire’s remote sensing satellites uses proprietary data and algorithms to provide tracking for weather, maritime and aviation.